The Shaquem Griffin story is by now well known. 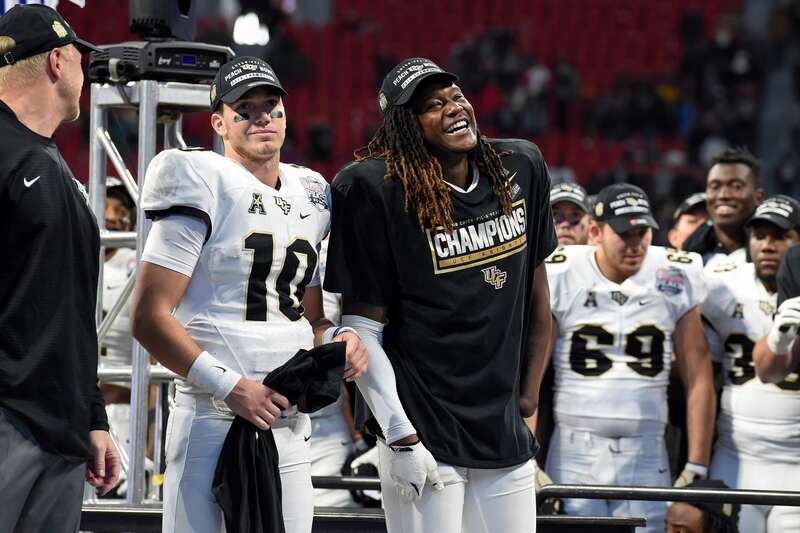 Dominating on the field for Central Florida over the past few seasons, the one-armed linebacker has become a story himself heading into the 2018 NFL Draft. He was not originally invited to the NFL Scouting Combine earlier this year, only to absolutely dominate the event. Griffin then noted on Thursday during UFC’s Pro Day that he was invited to, and will attend, the draft in Dallas next month. Seeing his stock skyrocket big time since the end of Central Florida’s season, Griffin has become an inspiration to so many out there. That includes a young girl by the name of Annika Emmert, who emotionally talked about just how much Griffin has meant to hear. Get you Kleenex out, this is a tear-jerker. The passion. The pure emotion. That’s just all sorts of grand. Griffin has taken his “disability” in stride and is now the talk of the NFL Draft water cooler. Last season alone with the Knights, the linebacker recorded 74 tackles, 13.5 tackles for loss and seven sacks. He’ll now likely be a Day 2 pick. But that pales in comparison to what Griffin has already accomplished and what he means to so many out there, young Annika included.